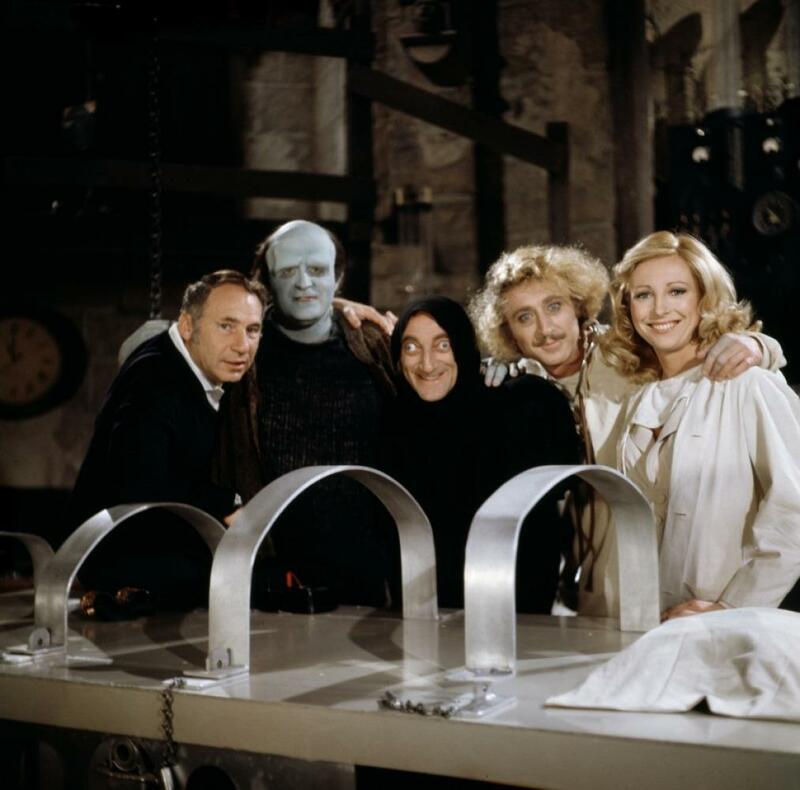 It's Mel Brooks and his cast of "Young Frankenstein"! 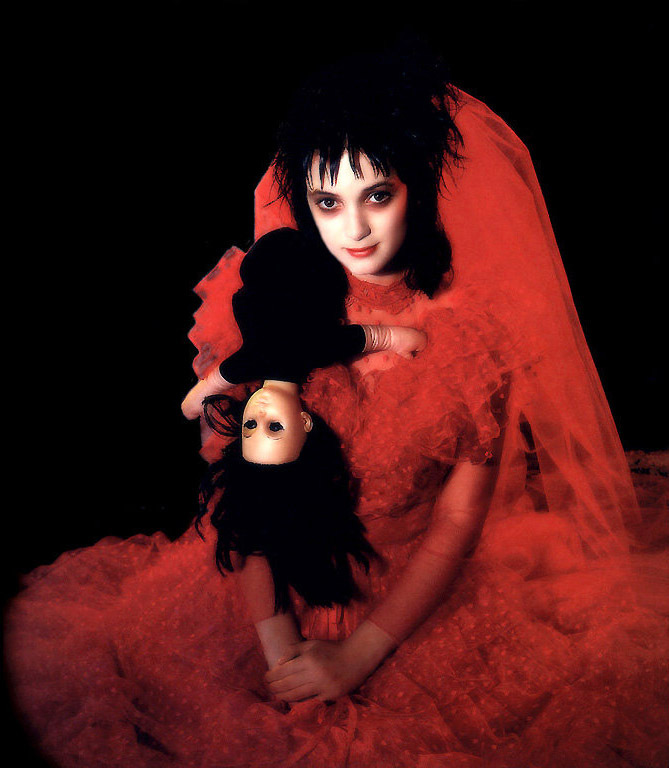 It's Winona Ryder as Lydia from "Beetlejuice"! 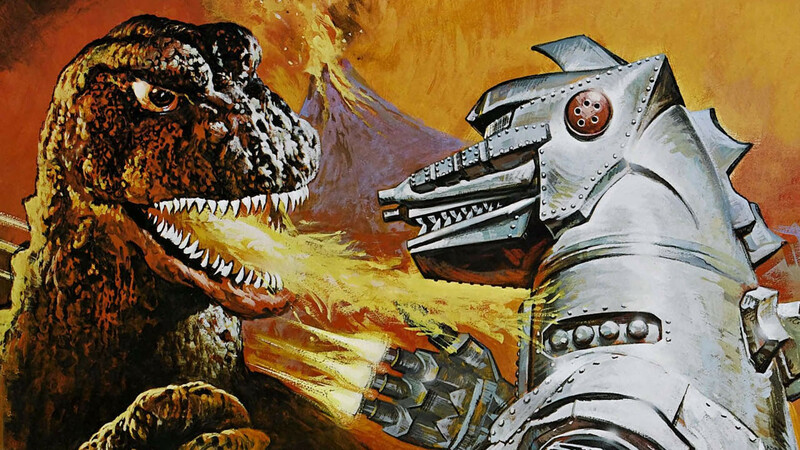 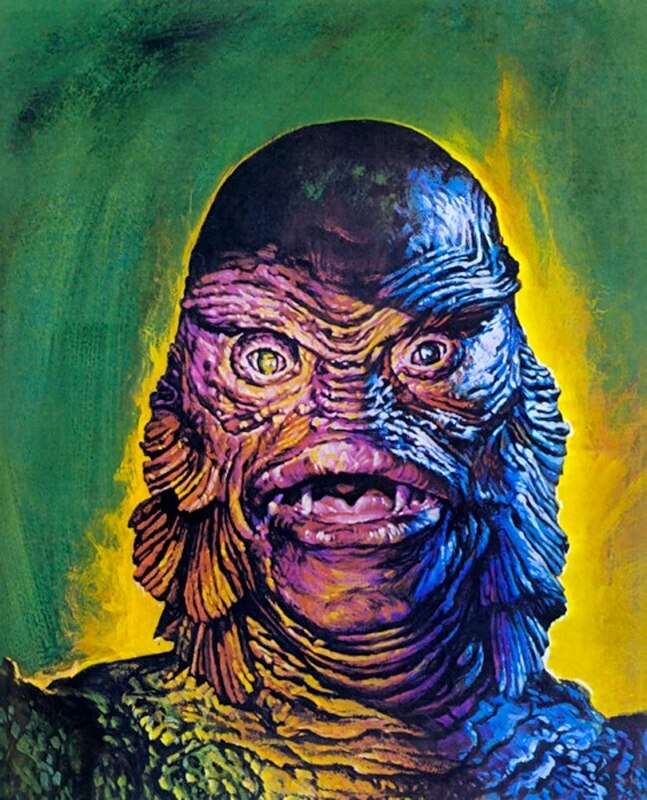 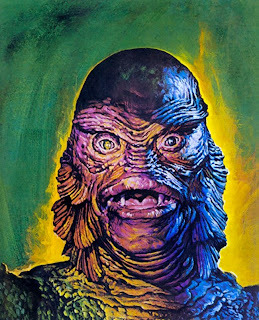 Here is a closeup of the artwork Basil Gogos created for the movie poster of "Godzilla vs. the Bionic Monster". 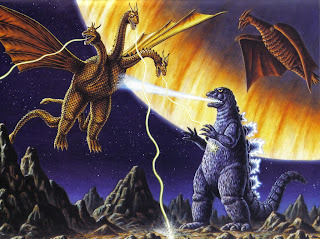 Godzilla and Rodan battle King Gidorah in this wonderful piece. 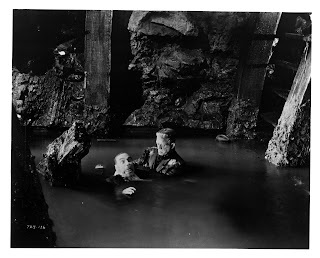 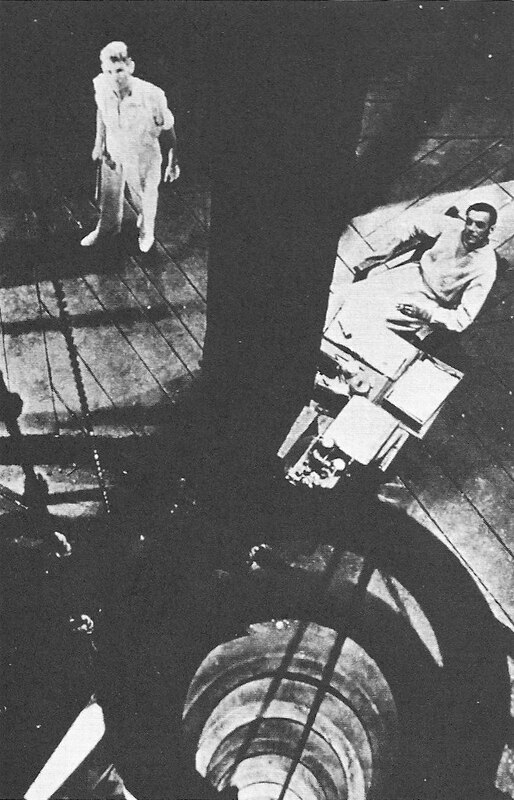 Here is a shot of a rare deleted scene from "Bride of Frankenstein". 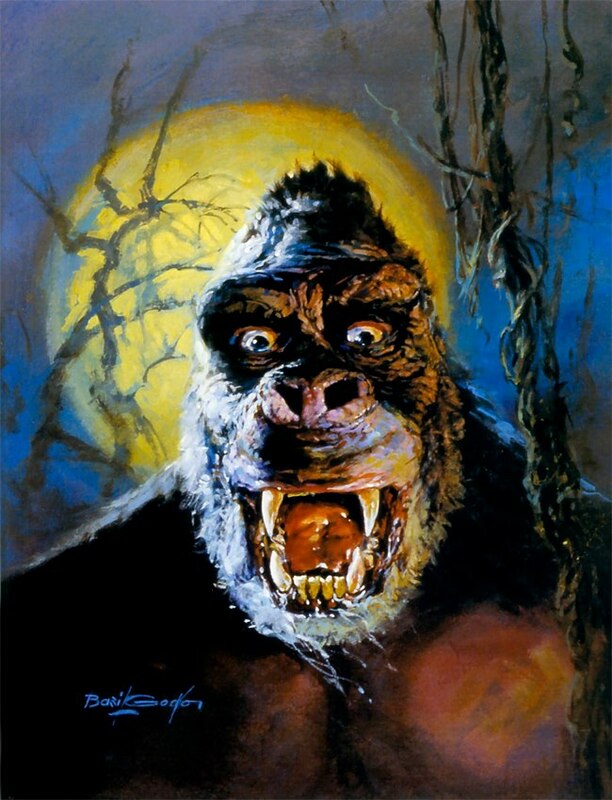 King Gogos creates King Kong! 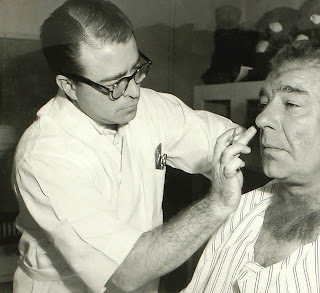 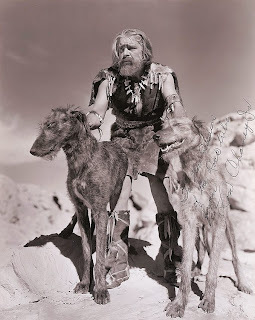 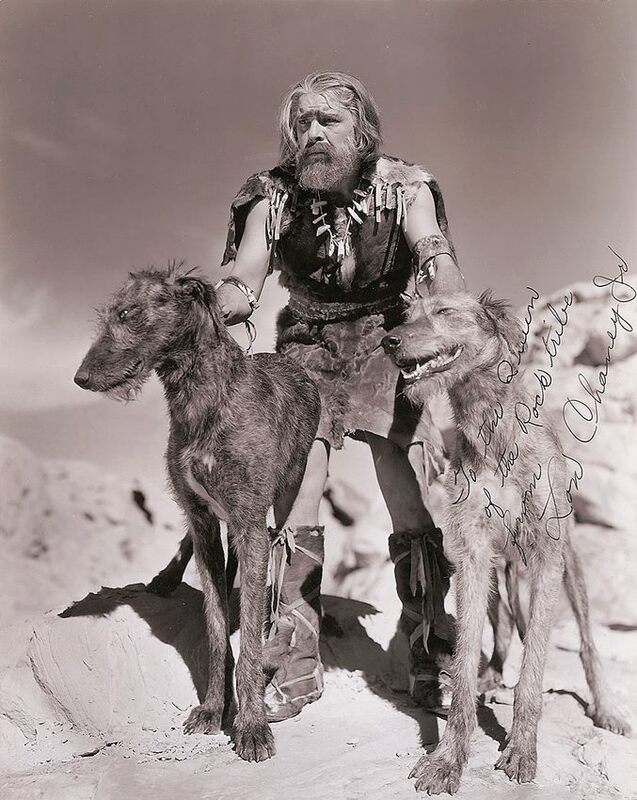 Lon Chaney, Jr. sits in the make-up chair as he gets transformed into the Wolf Man. 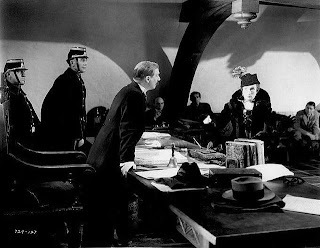 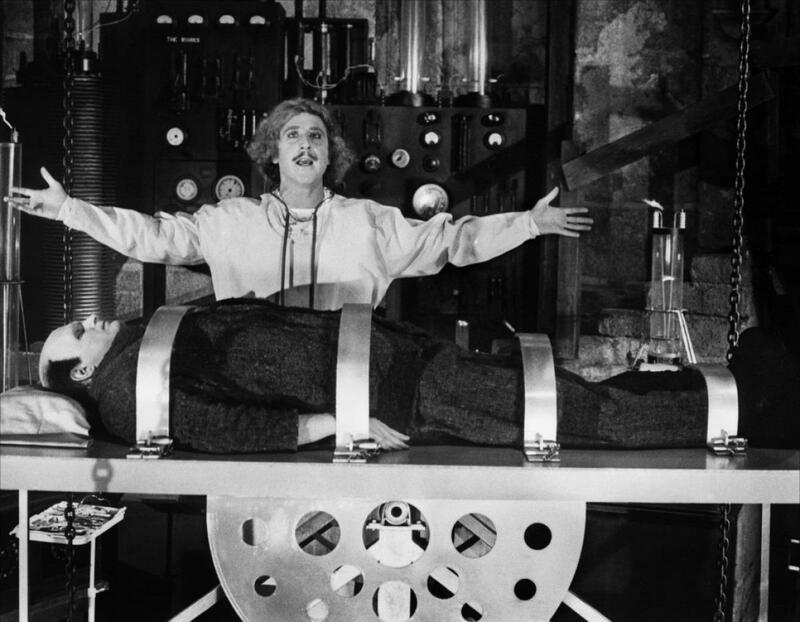 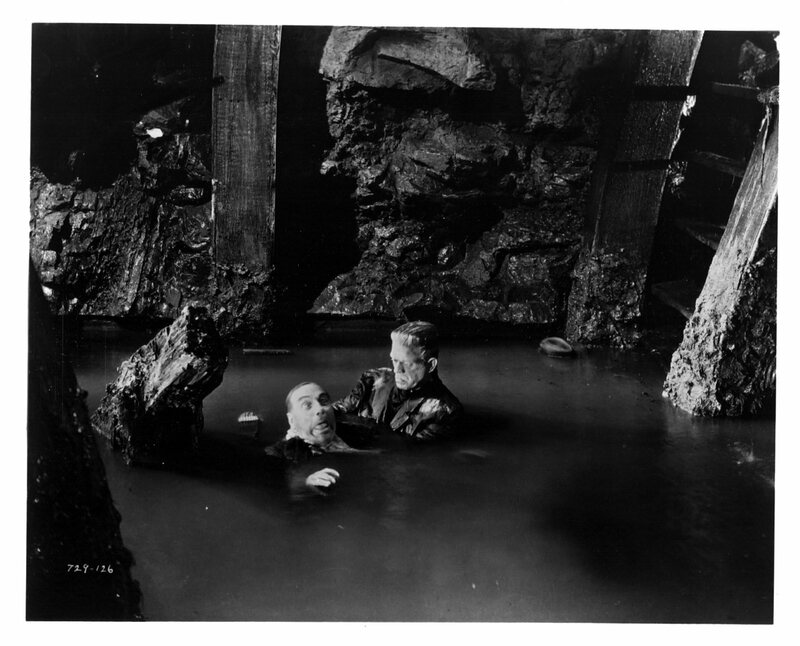 Chick and Wilbur come across the coffin of Count Dracula in "Abbott and Costello Meet Frankenstein". Here I am with Forry on his 90th birthday in 2006. 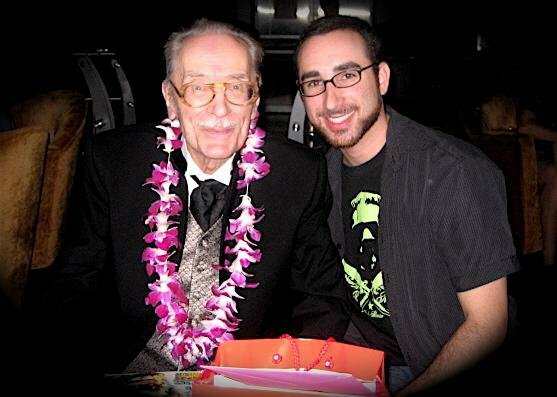 We all miss you, Forry! 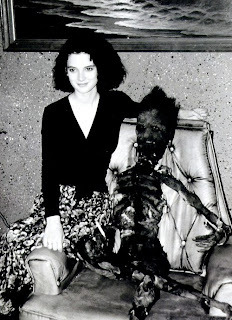 A great behind the scenes photo of Winona Ryder on the set of "Beetlejuice". 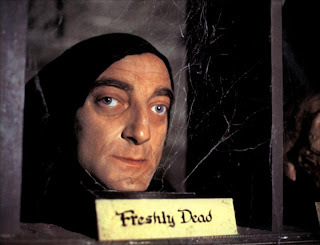 He Isn't Dead at All! 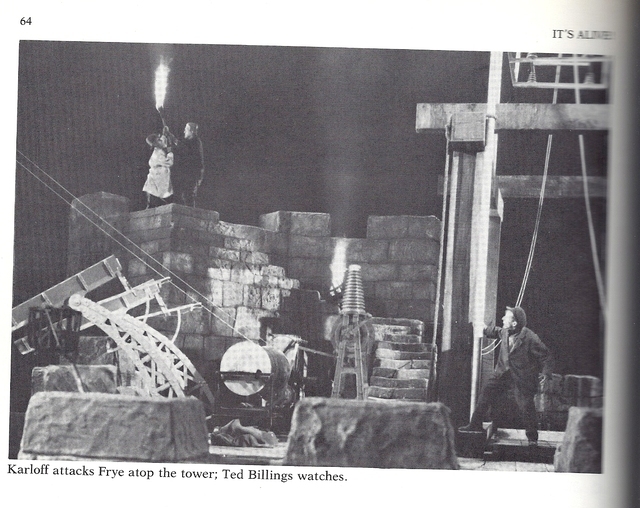 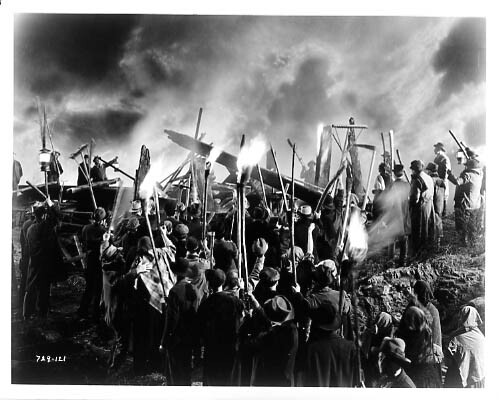 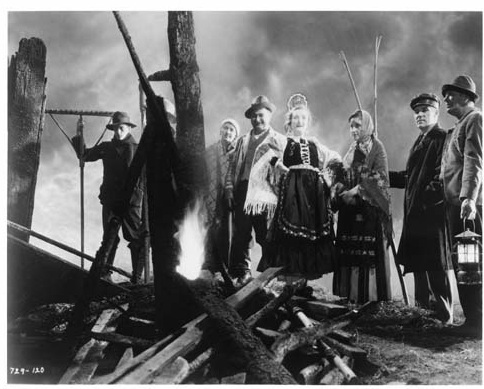 The Monster lived right through the fire in "Bride of Frankenstein". 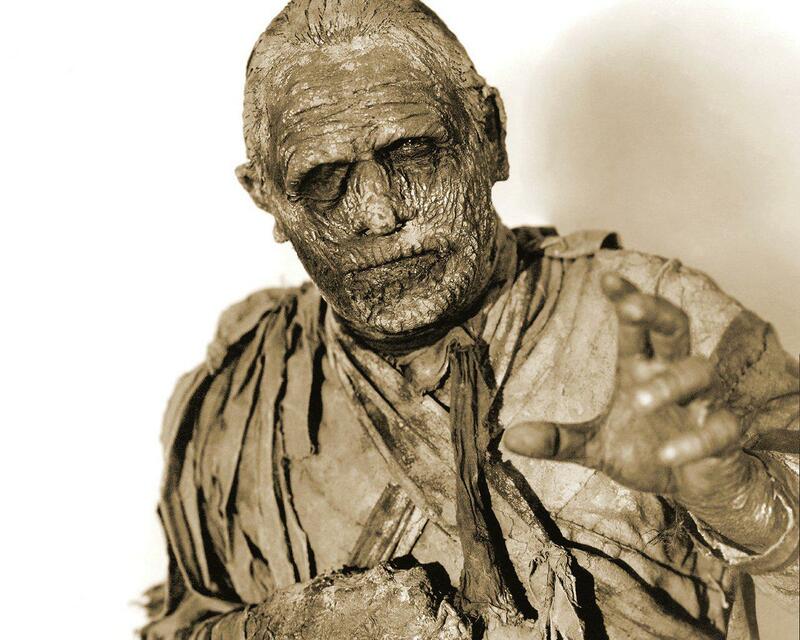 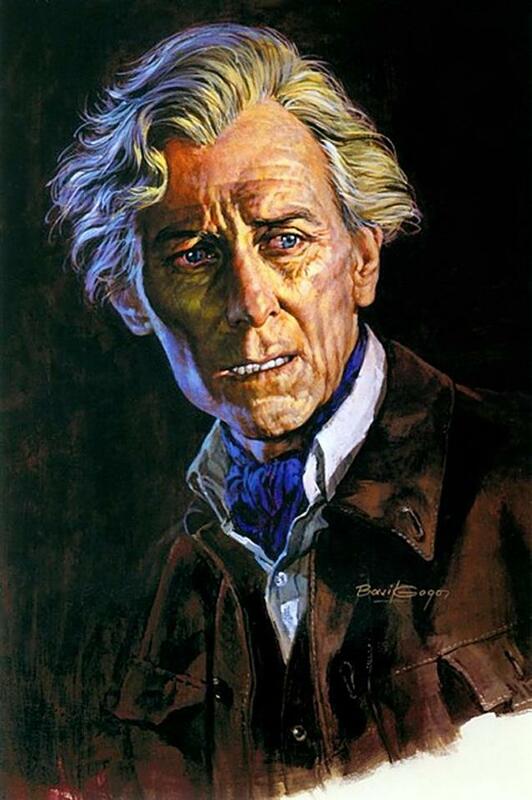 Here is Gogos' rendition of Peter Cushing which was featured on Famous Monsters #130. Perhaps my favorite of all Basil Gogos paintings! 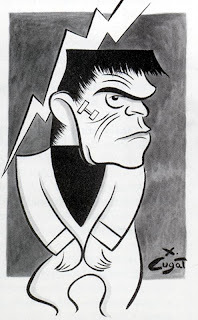 It's Karloff from "Frankenstein" and it was featured on Famous Monsters #56. 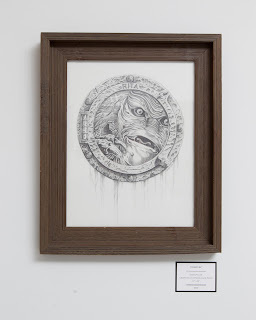 From the Mondo Art Show. 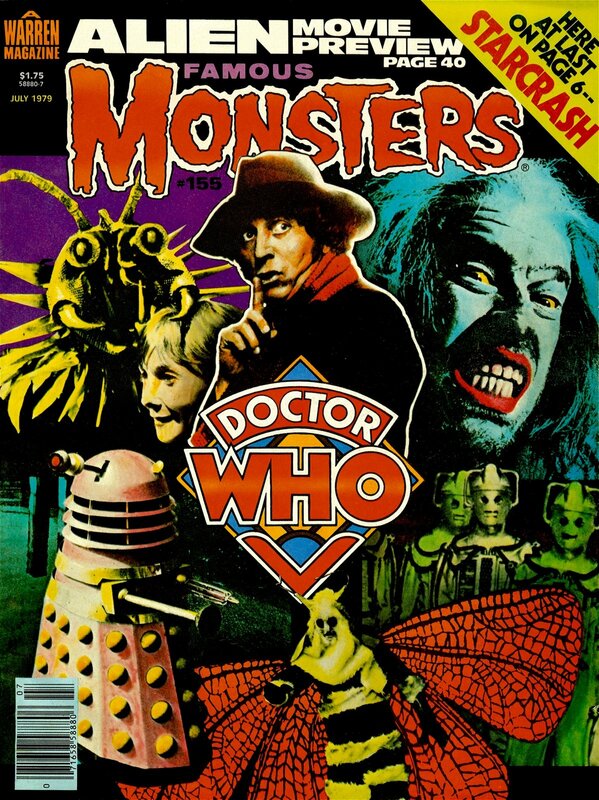 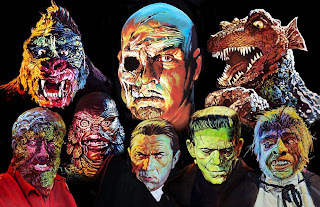 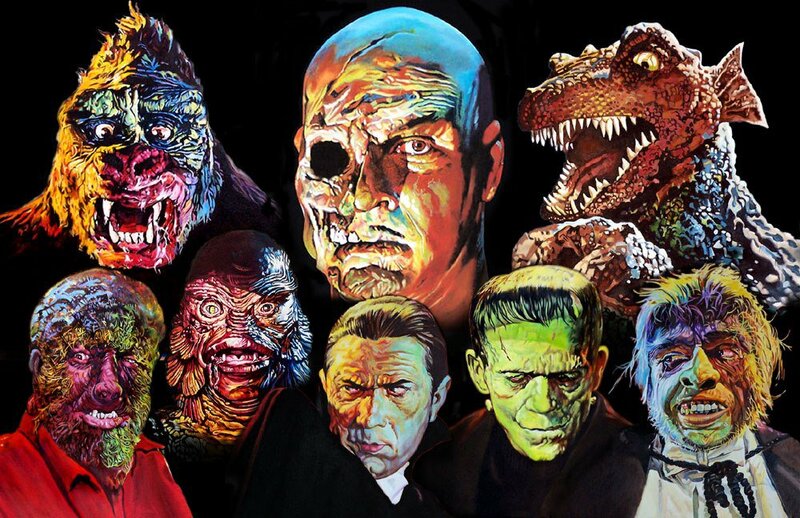 Here's a bunch of Basil Gogos art featured on covers of Famous Monsters! Lon Chaney in "Son of Dracula"! 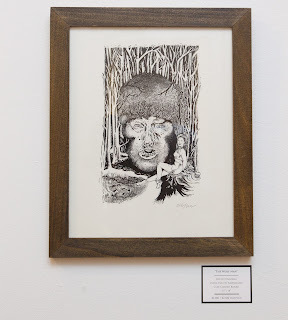 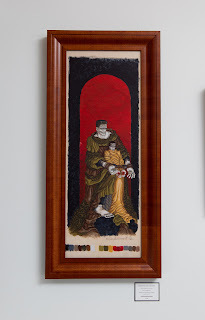 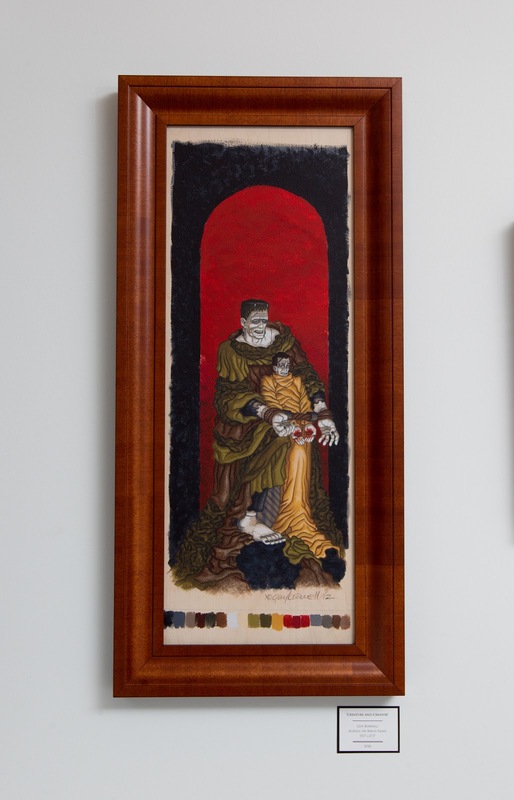 This may be my favorite piece from Mondo's Universal Monsters Art Show. That Fire is Still Burning. 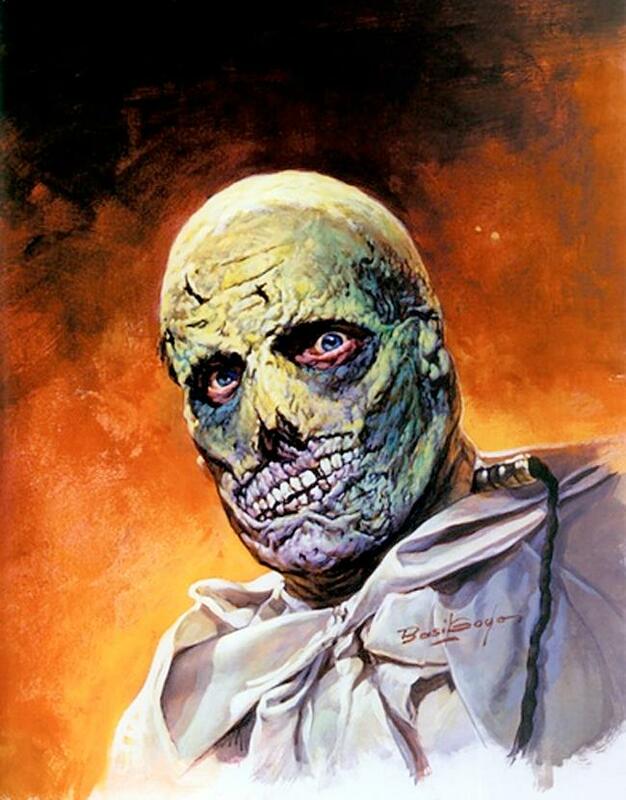 Gogos does it again with a portrait of Vincent Price as Dr. Phibes! It's a bird's eye view of the "Frankenstein" set where we find Colin Clive and James Whale! 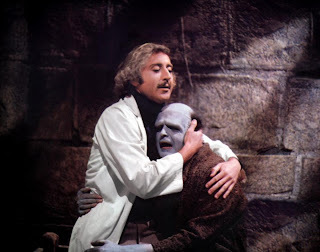 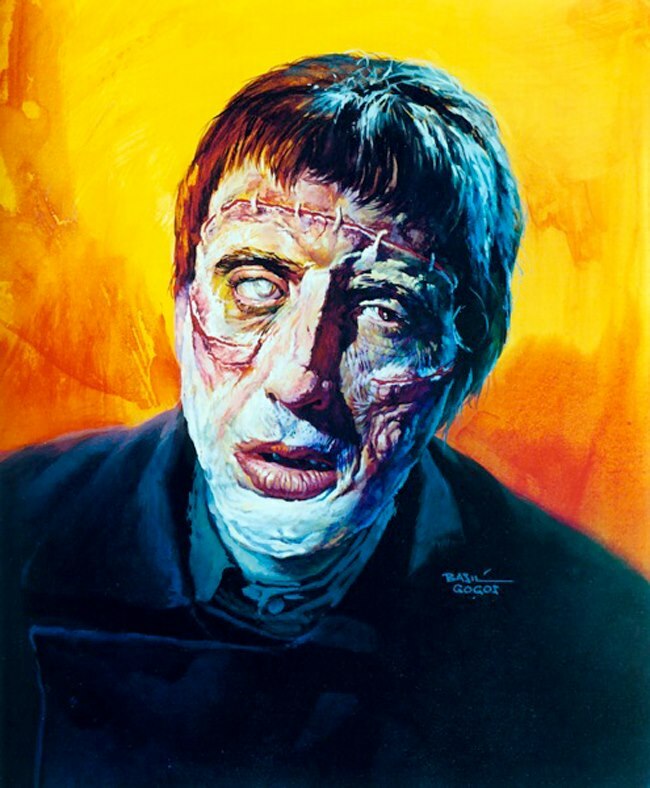 Basil Gogos' rendition of Christopher Lee in "Curse of Frankenstein". Featured on Famous Monsters #103! 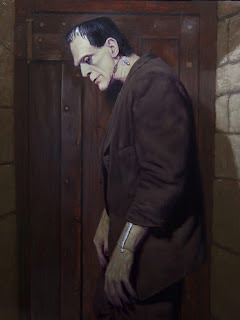 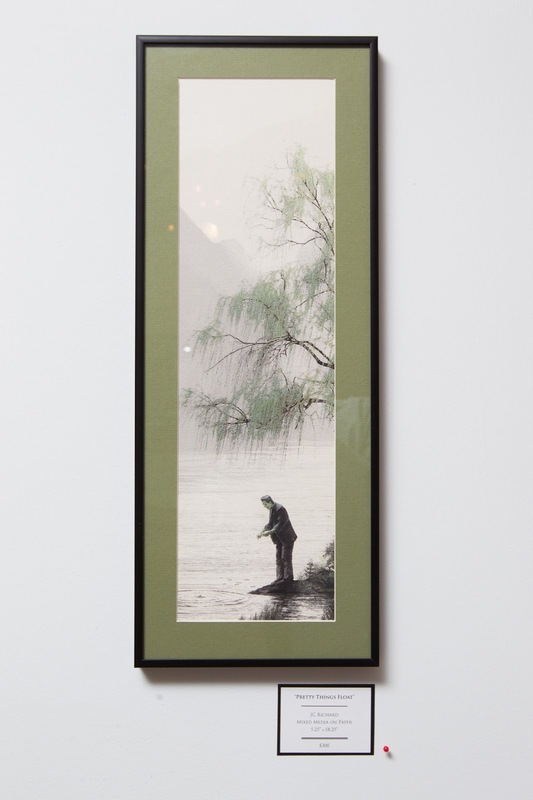 Another wonderful piece from the Mondo Art Gallery. 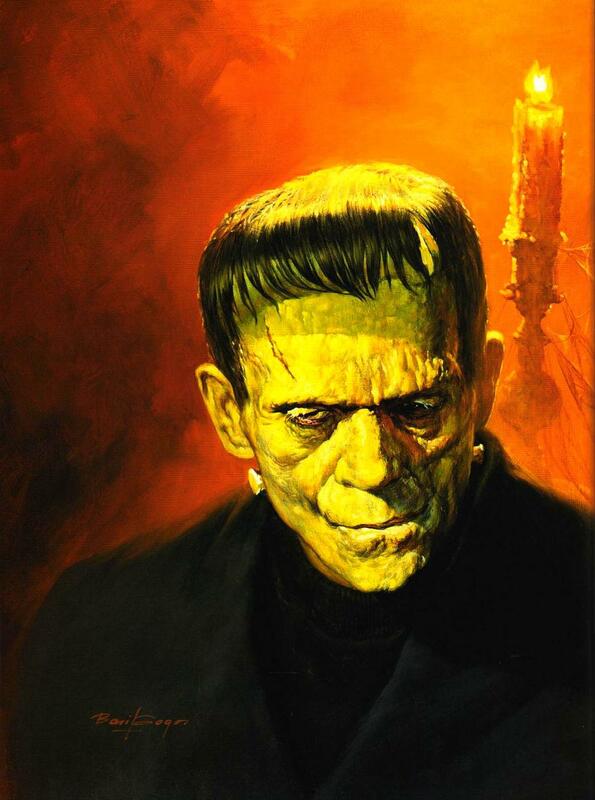 Drew Strutzan creates this wonderful portrait of Boris Karloff as he appeared in "Bride of Frankenstein". 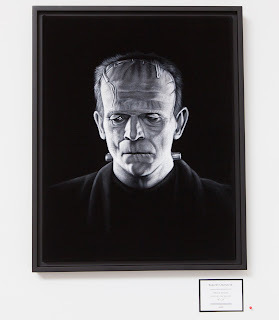 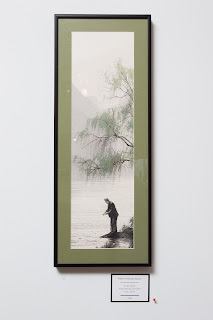 Another piece from Mondo's Gallery. 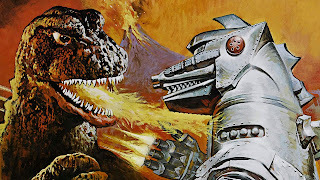 I'm Glad to See the Monster Roasted to Death! 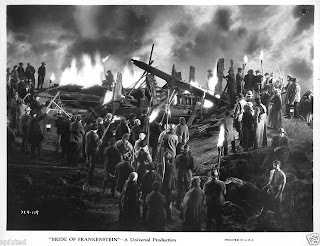 "Bride of Frankenstein" opens with the conclusion of the original film. 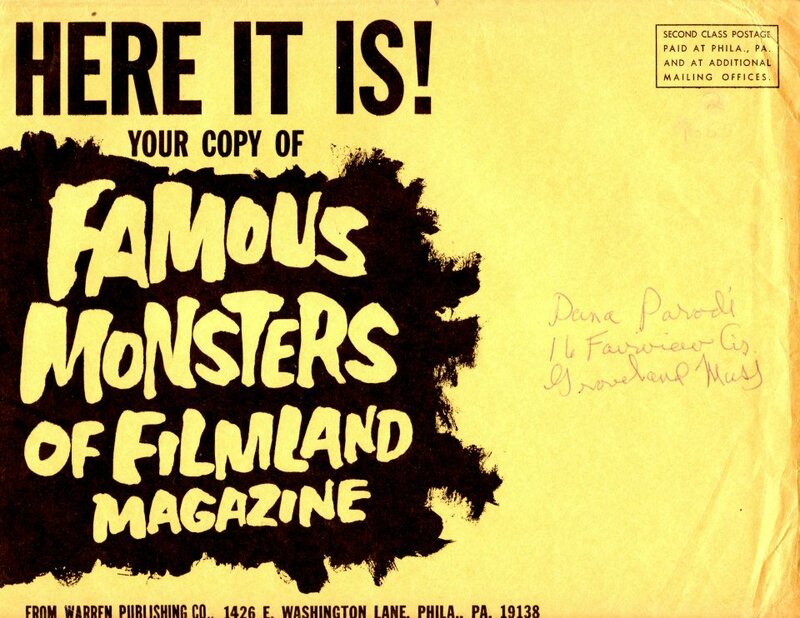 How exciting it must have been for kids to get this envelope in the mail and just know what's the come inside! Preying on the weaker species. 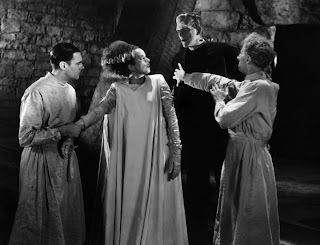 From "Dracula's Daughter". From the wonderful Daniel Horne! Xavier Cugat drew this wonderful rendition of our favorite flat headed monster! 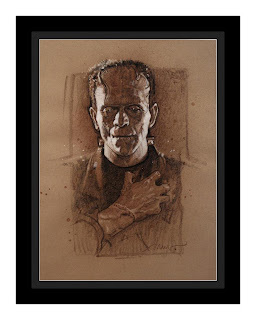 From the Mondo Art Gallery.